Fireworks can be scary for both dogs and cats. It never fails that on New Year’s Day and July 5th stories pop up in my Facebook feed notifying me of missing pets. When dogs get scared they try to get away from the scary thing. I wish they understood that getting out of their homes and yards is not in their best interest, but unfortunately they don’t. Cats tend to hide and we don’t necessarily know they are scared. It can take some indoor/outdoor cats several days to feel comfortable enough to come back home and unfortunately this could mean they are picked up by someone else. Here are our top 10 tips to help keep your pets safe and comfortable during fireworks (and thunderstorms). If you haven’t discussed your dog’s fear of fireworks with your veterinarian, now is the time. 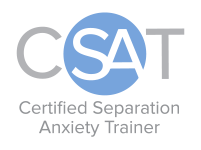 They can offer tips and options for alleviating anxiety. Additionally, if your pet is not already microchipped, you may want to consider getting this done right away. Blankets can be one of the most useful tools to have on hand. They can serve multiple purposes and can save you a lot of money if you have a dog that is in such a panic they dig at drywall or flooring. Many dogs and cats love to burrow in blankets during scary times, but blankets can also be used to cover windows or crates to dampen noise and darken a room. For more uses see our blog post, 10 Uses of Blankets During a Thunderstorm. Taking your dog out before the fireworks begin for a nice long walk can help tire him out. This will not necessarily eliminate his anxiety, but can help to elevate those feel good chemicals and reduce some signs of anxiety. Additionally, this will provide your dog an opportunity to use the bathroom. It’s possible your dog may not want to go out for several hours after fireworks end so being empty before is ideal. While it is primarily the sound dogs are scared by, the flashes of light may be scary too. Additionally, closing blinds and curtains can muffle the noise ever so slightly. I suggest you ensure the doors and windows are also locked. It is not unheard of for scared dogs to get windows open and escape. If you do not have blinds or curtains, you can use the blankets. White noise can be played throughout the house, but at the very least play it near your dog’s resting areas. White noise is very good for drowning out other sounds, but for some dogs it can be scary. If that is the case, classical or other relaxing music can be very helpful. You can find very good tracks of white noise on YouTube, or purchase a special white noise machine such as the Dohm by Marpac. While white noise and classical or other relaxing music are beneficial, don’t forget the television alone can be helpful and good for masking noise. For my own dog, if I put on a funny movie and called her up on my lap and covered us both with a blanket she’d almost completely forget the fireworks were happening. It doesn’t have to be a comedy, but for me this type of movie can take my mind off of stressors in my life. She is pretty in tune with me, at least according to the Dognition games we’ve been playing lately, so this could perhaps have something to do with it. For dogs that exhibit fear, having you there can help calm them. It’s hard to have to stay home while others are out celebrating the incoming New Year or the country’s independence, but there are benefits. You don’t have to find a designated driver for one. The main reason though, is that you will be able to intervene if your dog tries to get loose. Leash clipped to both collar and harness. If you absolutely need to take them outside during the fireworks, you will want to ensure you have proper identification on them (even if they are microchipped). Additionally, a six foot leash firmly attached to collar and if possible a front-hook harness as well. Using the front hook harness in addition to the collar gives you added security in case your dog tries to slip out of one to run away. Don’t skip on the treats during fireworks. Not only can treats help your dog feel better in the moment and take his mind off the sky blowing up, but they can help create an association that fireworks make treats rain down from the heavens. The next time fireworks happen, your dog may feel a little better about them. Some suggestions are boiled chicken, cut up hot dogs (we cut them into 80 pieces), cheese, peanut butter, and bacon bits. Now is the time to break out fetch (in the house of course), tug-of-war, nose work games, and anything else your dog enjoys. If your dog doesn’t want to play, don’t worry. Leave the games out and available until the fireworks end. They may end up playing as time passes. At the end of the fireworks make a note of how long it takes for your dog to start to play. This information can be very helpful if you choose to work on how they feel about fireworks later to know if he is improving over time.